In the spring of 2010 Terry Tucker of Makinsons was employed full time as a mechanic at a local garage in Conception Bay. He approached CBDC to discuss financing options for him to purchase a tow truck to provide roadside assistance in his spare time. He hired a part-time driver to help him fill his contracts but by the end of the summer it was clear to Terry that this was a full-time business in itself. He left his place of employment and became a full time entrepreneur. In 2011, after a very successful year, he expanded the business with the addition of a second tow truck and a commercial closed-in trailer equipped to transport luxury vehicles out of the province for repairs. The business continued to grow with the addition of 5 flat beds and a van for local business calls. 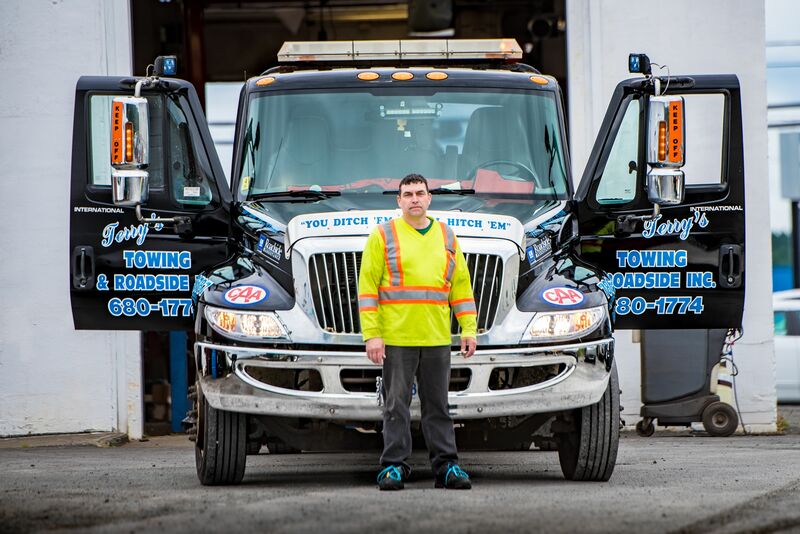 In 2014 with the assistance of CBDC Trinity Conception he purchased a newer tow truck and expanded his business outside of the Conception Bay area to St. John’s. He now owns and operates 3 flatbeds, a light duty wrecker, a medium duty wrecker, and a truck and 50ft enclosed trailer for towing specialty and high-end vehicles like Porsche, which have to be towed to Halifax. He also has a service vehicle which he uses to store safety and extra gear in. He uses this vehicle for roadside assistance calls for things like boosts, lockouts, tire changes, gas delivery or to help with traffic control at accident scenes. Currently Terry’s Towing and Roadside has contracts with CAA, DAA, Sykes Assistance, Allstate Road Services, Signature Motor Club, Good Sam, Assistenza, Asurion, Canadian Tire Roadside Assistance and Road Canada. They also provide service to three local ambulance companies and a number of local garages and body shops, and backup towing for other companies as needed. Terry employs himself full time and 2 seasonal employees and has increased his sales by 192% in the first full five years of operation. CBDC Trinity Conception congratulates Terry on the success of his business over the past nearly 6 years and looks forward to working with him in the future.